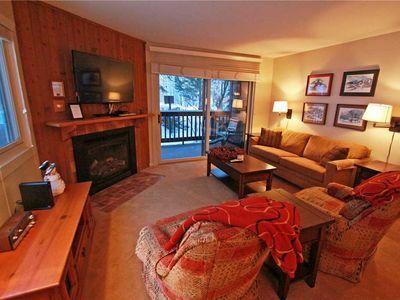 Bear Hollow is located just minutes from Canyons, Park City, & Deer Valley ski areas. It is directly across from the Redstone shopping area, grocery stores, restaurants, movies, bowling and more! 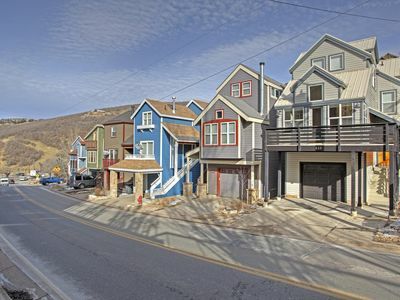 It's only 5 miles from Park City Mountain Resort, Historic Old Town and Main Street Park City. 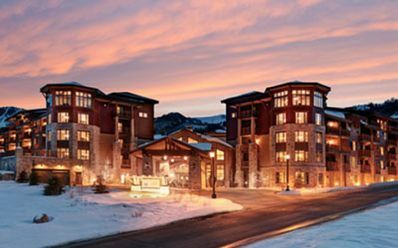 Just 35 minutes from the SLC airport, and less than one mile off interstate 80, Bear Hollow is one of Park City's most convenient and desirable locations. 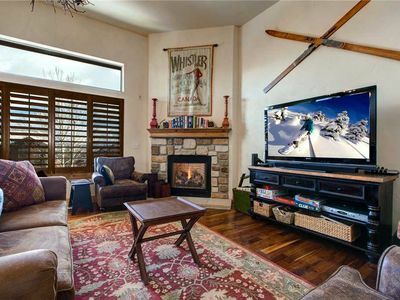 In the shadows of Utah Olympic Park and The Canyons, this home provides an ideal setting. 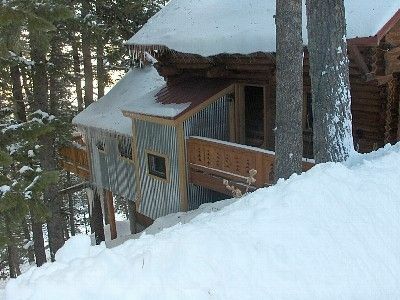 Access is great regardless of snow conditions. 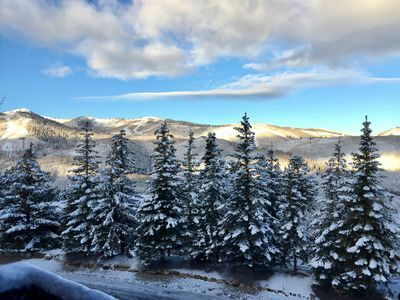 Bear Hollow also features direct Access to Park City cycling and hiking trails and the complimentary free shuttle! 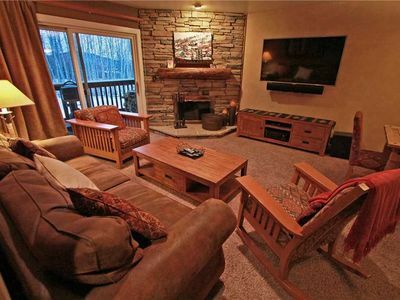 This Bear Hollow 4-bedroom, 3.5 bathroom home (sleeps 10-12) will surely please any group! 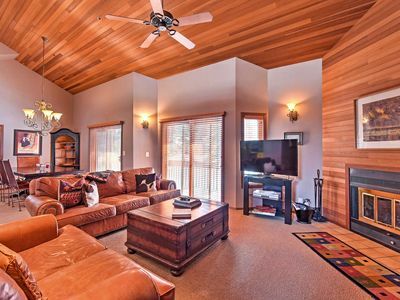 Walking into this beautiful 2250 square foot home, you’ll see a large living room with plenty of seating, a warm gas fireplace, and 55” HD Television. 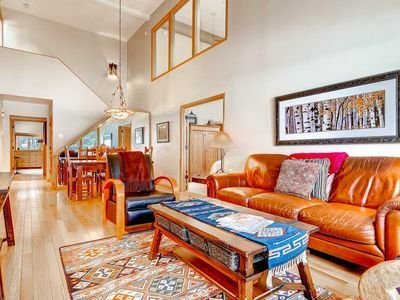 A perfect place for gathering together as a group, the room is rustically decorated and comfortable. 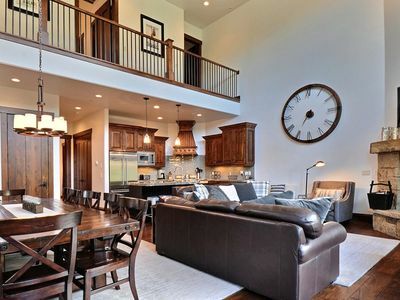 Up a few steps, the fully-equipped kitchen with stainless steel appliances and granite countertops provides a wonderful area for cooking and eating in. A double oven, toaster, coffee pot, blender, dishes, glassware, pots/pans, and utensils make dining a breeze. The breakfast bar seats three and the dining table seats six. The washer and dryer and a half bathroom are right off the kitchen. 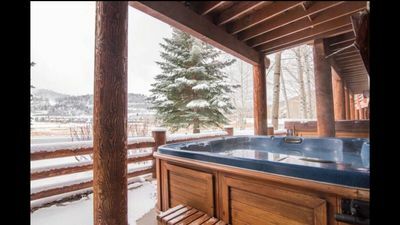 Next to the kitchen is a deck with a hot tub for relaxing after a fun day in town and a gas BBQ. 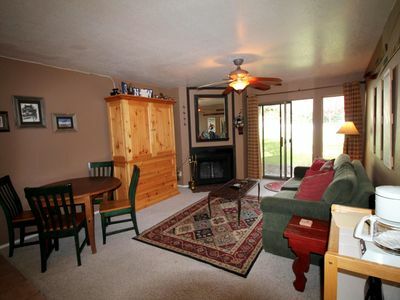 On the upper level of the home, there are three large bedrooms. The master suite has a King-sized bed with en suite bathroom (separate soaking tub and steam shower), ceiling fan, and 42” HD TV. The second bedroom has a Queen-sized bed and 42” HD TV. 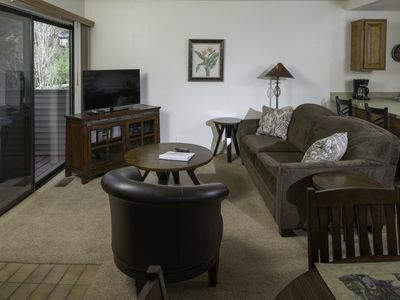 It shares afull bathroom (tub/shower combination) with the third bedroom, which has a twin bunkbed and 27” HD TV. 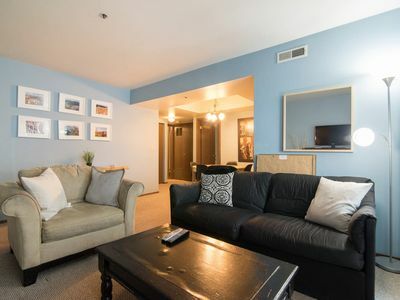 There’s also a loft with a Twin-sized sleeper sofa, desk with computer and printer, and additional seating. A home phone is also available for use. Downstairs there’s a bedroom/den with en suite full bathroom (shower only). 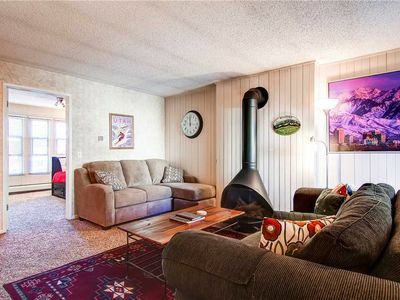 The couch converts into a Queen-sized sleeper and a 50” TV, gas fireplace, and extra seating makes it a comfortable room for sleeping and hanging out. 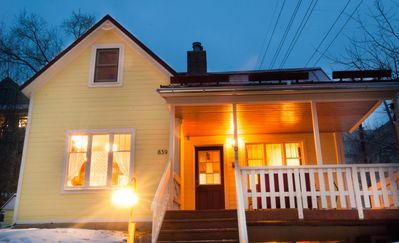 Comcast Cable and FREE wifi are available throughout the home. Full heating and central air-conditioning make temperature control easy all year. 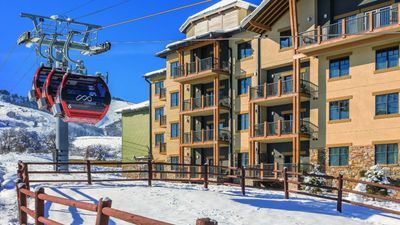 The 2-car garage has room for two vehicles in it, a boot and glove dryer to take care of wet skiing clothes, a ski rack, and two bicycles with helmets. There’s additional parking for two cars in driveway. 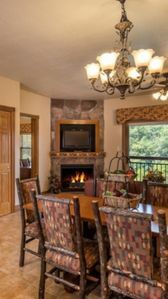 In addition to all the amazing features of this fantastic home, you’ll also have full access to the Bear Hollow Clubhouse with your stay. 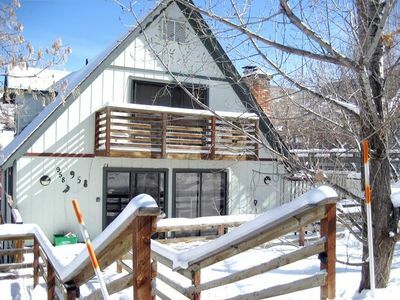 A Pool (in the summer season), additional hot tub, fitness center, kitchen/dining and office are available there. 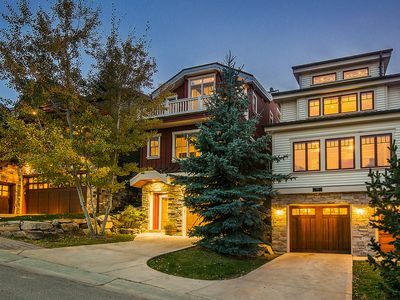 You’re sure to enjoy this beautiful home all year round! Book with us today! 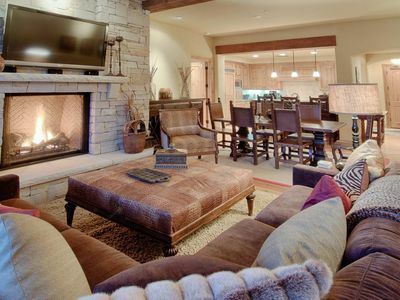 The Lodge at Ridgepoint-Ski Access to Deer Valley Slopes-Amazing Views!